Armor Of God - All day, every day, an invisible war rages around you — unseen, unheard, yet felt throughout every aspect of your life. A devoted, devilish enemy seeks to wreak havoc on everything that matters to you: your heart, your mind, your marriage, your children, your relationships, your resilience, your dreams, your destiny. But his battle plan depends on catching you unaware and unarmed. If you're tired of being pushed around and caught with your guard down, this study is for you. The enemy always fails miserably when he meets a woman dressed for the occasion. The Armor of God, more than merely a biblical description of the believer's inventory, is an action plan for putting it on and developing a personalized strategy to secure victory. All day, every day, an invisible war rages around you — unseen, unheard, yet felt throughout every aspect of your life. A devoted, devilish enemy seeks to wreak havoc on everything that matters to you: your heart, your mind, your marriage, your children, your relationships, your resilience, your dreams, your destiny. But his battle plan depends on catching you unaware and unarmed. If you're tired of being pushed around and caught with your guard down, this study is for you. The enemy always fails miserably when he meets a woman dressed for the occasion. 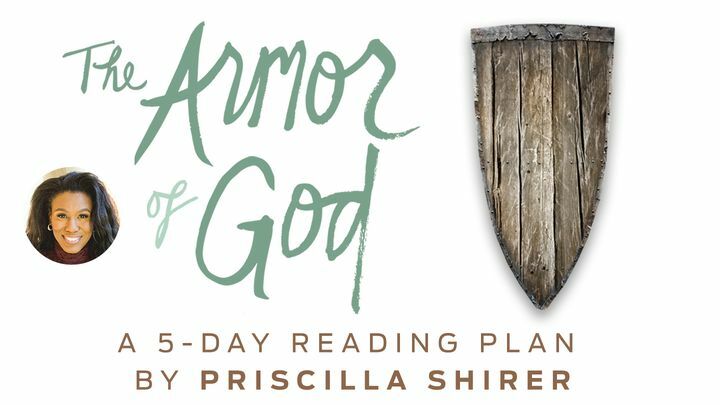 The Armor of God, more than merely a biblical description of the believer's inventory, is an action plan for putting it on and developing a personalized strategy to secure victory.